How to Save Money with Better Services? Millions of people in the UK today believe that they have to conscious about where they spend their money because most of them are concerned about how they are going to save money for their future. Today, financial worries are becoming common across the UK and people believe that majority of the friends and family members that they interact with constantly keep talking about how they are going to save more money in the future. In a recent survey done by Incahoot.com it was found that most of the people are worried about their finances and growing insecurity around it. Many of them often turn to their loved ones, family members and friends for consolidation but they still end up paying for small time luxury items. In recent times, mobile phones have captured the global attention and many UK people believe that they cannot leave that out of their financial planning. Hence, majority of them voted that they would still pay for their mobile phones and smartphones even if the prices are high. People in the UK are very concerned about staying connected and smartphones and mobile phones offer them great options of being connected with the world. On the other hand, many of them believe that they are paying too much for gas and electric and even for the cable services that they use. The recent research done by Incahoot.com also reveals that majority of them are worried about the rising energy prices that sap up lot of money from their monthly income. However, most of them said that they have not thought about switching their energy supplier because there is too much of effort and there are too many hassles that they would not like to go for. Most people that participated in the survey believe that they have a busy schedule and changing energy supplier would consume a lot of time and money at the same time. Now, Incahoot is offering UK consumers with a solution that can help them to save more money without any time consuming procedure. With the help of Incahoot’s free Concierge Service consumers can send in their energy bills, internet bills and even mobile phone bills and the company will find a better deal for them that will help them save more money. 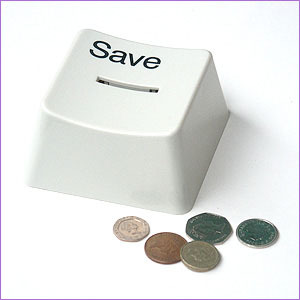 This service is available for free and can help UK consumers to save up to 1,168 GBP annually. Consumers who are interested to make use of this service can either post, email or fax their bills to Incahoot UK.